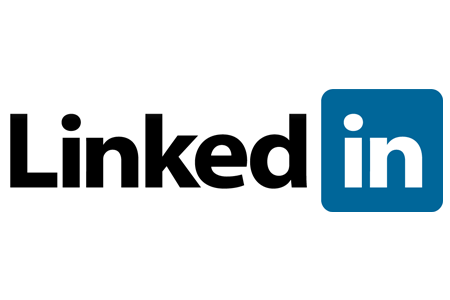 LinkedIn recently turned 10 years old. And the Mountain View, Calif.-based social network has much to celebrate. Founded in 2003, LinkedIn now has 225 million users worldwide, and its share price has nearly doubled since the firm’s 2011 IPO. Meanwhile, other highly anticipated social media IPOs have fared rather poorly. Facebook’s shares have fallen 40 percent since going public last year, and Zynga’s shares have fallen nearly 70 percent since going public at the end of 2011. Perhaps most important, LinkedIn has transformed itself from a simple professional networking site into the world’s most powerful online recruiting tool, which nearly every major U.S. corporation uses and which has more or less spelled the death of the online job board. Last year, perennial job board leader Monster Worldwide announced that it was looking for a buyer. That followed on the heels of Monster’s poor attempt to get into the social recruiting game. In 2011, Monster unveiled BeKnown, a Facebook app that was supposed to compete with LinkedIn and other social media recruiting tools, but instead, by most accounts, has been a complete failure. Today, LinkedIn, which earns 57 percent of its revenues from its recruiting tools, doesn’t seem to be receiving much competition in the recruiting space from Facebook or Twitter, either. In fact, recent research shows that Twitter and Facebook are losing, not gaining ground. Bullhorn Reach, a social-recruiting software and service provider, recently surveyed more than 160,000 companies that use at least one social media site to recruit new employees. And what Bullhorn found is that 97 percent of these firms use LinkedIn to source new hires, compared to just 27 percent that use Twitter and 22 percent that use Facebook. 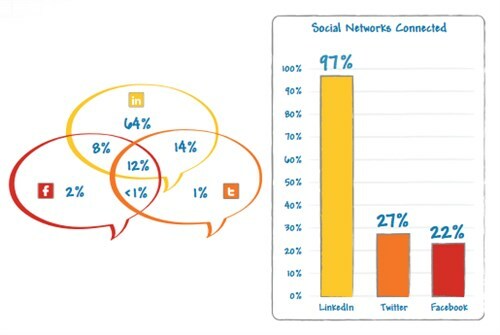 The research also found that 64 percent of the firms surveyed solely use LinkedIn, while 2 percent only use Facebook and 1 percent only use Twitter (see more data on recruiters' social media use in the graphic below). Twitter, while still ahead of Facebook in terms of adoption, isn’t yielding impressive dividends. While in last year’s report we speculated that Twitter would gain ground from LinkedIn in 2012, that prediction has proven inaccurate. If anything, Twitter lost ground in the past year as a social recruiting resource. [Meanwhile] the real barrier to successful recruiting on Facebook may be an unwillingness to try it and acknowledge that it works differently than other networks. Only 22% of North American recruiters used Facebook in 2012, despite it having one billion active users. We actually believe that longer term we’re in a position where we can map the global economy. The points on that map would be all of the economic opportunities in the world, full-time and temporary, all of the skills required to obtain those opportunities and all of the companies offering those opportunities. Lastly, we want to overlay on top of that all of the professionally relevant knowledge that is possessed by those individuals. And then we want to allow capital—intellectual capital, working capital and human capital—to flow on that graph to where it can best be leveraged. In doing so, we believe we can take much of the friction out of those traditional flows and help lift the global economy. In other words, Weiner wants to have Facebook's user base (over a billion) and be the go-to source worldwide when it comes time for a company to hire someone, make a business decision, and/or raise money. Which, of course, is an incredibly lofty goal. But then again, who predicted that LinkedIn would be where it is today after a just a decade in existence?